A huge Peepal tree in a North Indian city. Black-hooded Oriole Oriolus xanthornus feeding on its figs in Kolkata, WB. Pipal tree at Nandan Kanan Park Bhopal. 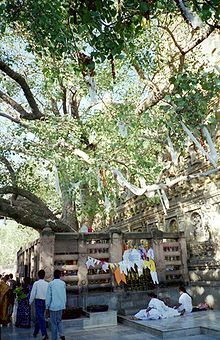 ↑ "Ficus religiosa — Peepal". Flowers of India. 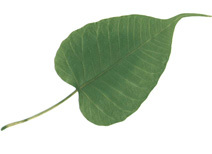 http://www.flowersofindia.in/catalog/slides/Peepal.html। আহৰণ কৰা হৈছে: November 3, 2011. 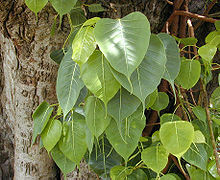 ↑ "Journal of Ethnopharmacology : Traditional uses, phytochemistry and pharmacology of Ficus religiosa: A review". ScienceDirect. http://www.sciencedirect.com/science?_ob=ArticleURL&_udi=B6T8D-523CDP7-1&_user=10&_coverDate=04%2F12%2F2011&_rdoc=1&_fmt=high&_orig=gateway&_origin=gateway&_sort=d&_docanchor=&view=c&_acct=C000050221&_version=1&_urlVersion=0&_userid=10&md5=b28956819f4c2a37db22414cbf670516&searchtype=a। আহৰণ কৰা হৈছে: 2012-01-05. Keith and Macdonell. 1912. Vedic Index of Names and Subjects.